Investing in safety always makes sense. With the newly revised 179 tax code, it makes more sense than ever to invest in safety equipment in 2018 and create a safer working environment. Creating a safer work environment for employees is critical to increasing throughput and maximizing your business’s bottom line. 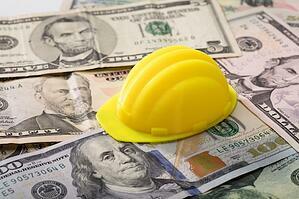 Workplace hazards can be expensive and negatively impact the bottom line. Our customers often report that, while they want to resolve safety hazards, they are frustrated by not being able to do so in a timely, cost-effective manner. Now is the time to resolve those hazards. The significant cost savings available through 179 provide an excellent economic incentive and sound budget justification for capital expenditures this year. With a 45+ strong engineering department—and a proven track record of providing practical, reliable, and economically viable safety solutions—Carbis is well positioned to help you ensure the right safety plan is in place. By purchasing safety equipment in 2018 and capitalizing upon the newly-revised 179 Tax Code, you will not only save significant dollars, you will help to ensure a safer workplace. Your Carbis Safety Representative can work with you to move your safety projects forward, and keep your people safer and your products flowing.